Meetings will be held on the first a third Friday of the month. Drills will be held on the first a third Monday of the month. Our 2018 fund drive is under way!! Please mail donations to the following address. "2018 Morris Plains Fire Association Fund Driver Letter"
The Morris Plains Fire Department responded into Chatham Borough with the Morris County air support unit and Morris Plains Fire Department utility #2. Members assisted the Chatham Borough Fire Department at a structure fire on Main Street. 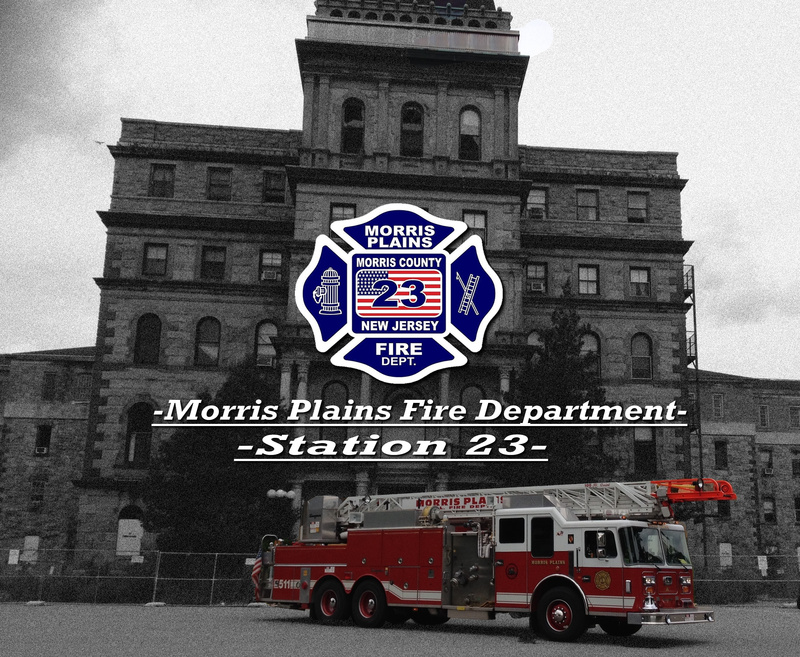 The Morris Plains Fire Department responded into Morristown with the Morris County air support unit and Morris Plains Fire Department utility #2. Members assisted the Morristown Fire Department at a structure fire. The Morris Plains Fire Department assisted the Whipany Fire Department with a strcture on Parsippany Road. The department responded with Quint #1. The Morris Plains Fire Department assisted the Mount Tabor Fire Department with a vehicle fire at the Central Park of Morris County. The department responded with Engine #3, Engine #4, and utility #2. The fire was contained and extinguished in a short amount of time. It is with deep regret that we announce the passing of Battalion Chief Larry Everett. He served as Past President of the Fire Association and Secretary to the State Fireman's Relief Association. He was a giant in our department and will be sorely missed. Rest in Peace Blue......We've got it from here.